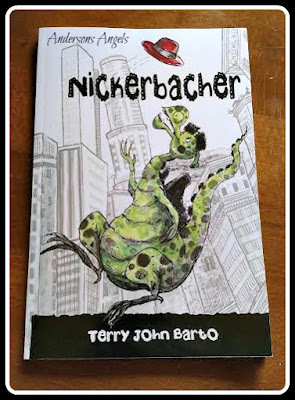 Nickerbacher the Funniest Dragon is back in his new book Nickerbacher . This funny dragon is trying to prove to his father and everyone that dragons can be funny! I don't know about you but it seems to me that dragons always get a bad wrap in movies and in books. Well Nickerbacher is out show everyone that dragons have another side to them a funny one! This book is quickly becoming a Anderson Family household favorite! Pumpkin has been slowly working his way through the book while working on his reading skills. He has to read for 30 minutes each night and has been enjoying his time in this book. I think he likes it because not only is it about a dragon but a funny one. Pumpkin has a great sense of humor and loves funny stuff as well. In the new book Nickerbacher has set off on a journey to become a comedian. He hopes to prove to everyone, especially his father, that dragons can be funny. 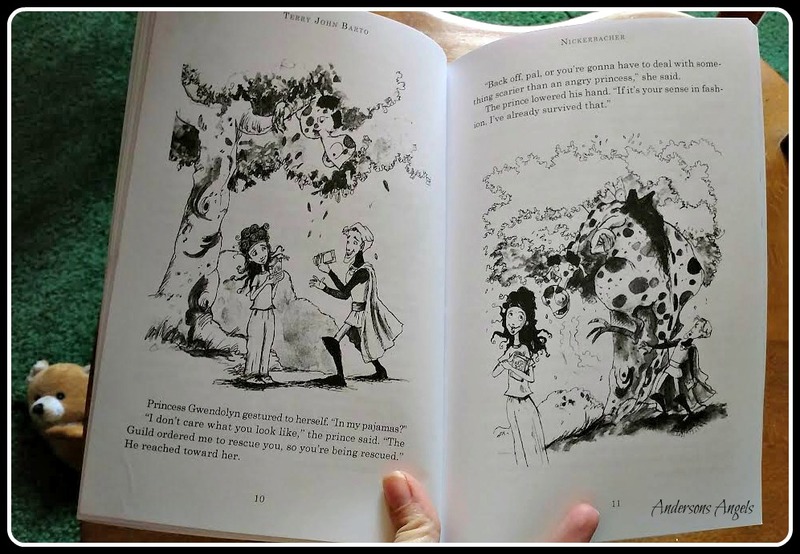 While on his journey Nickerbacher becomes friends with a Prince and Princess who help him realize his dream while making way for equal rights to everyone. The only thing that I wish was a little different about this book would be that there was a little color in the pictures. Not necessarily that all pictures be colored but just a little color like on the cover of the book, just something to make the page pop a little. This book would make a great addition to any child's library and the best part is I am giving a copy of this fun book away! You can enter to win the book in the JEEPERS! It's January Giveaway Event! You could always use map pencils to give the pictures some color! This looks like a very cute book! WOW! I can see my grandchildren reading this awesome books. My kids love reading books about "nice" dragons. I am sure they would love to meet Nickerbacher. I love dragons. I am interested in reading this book. The art work is superb! It sounds like a great book. I bet the girls will like Nickerbacher.